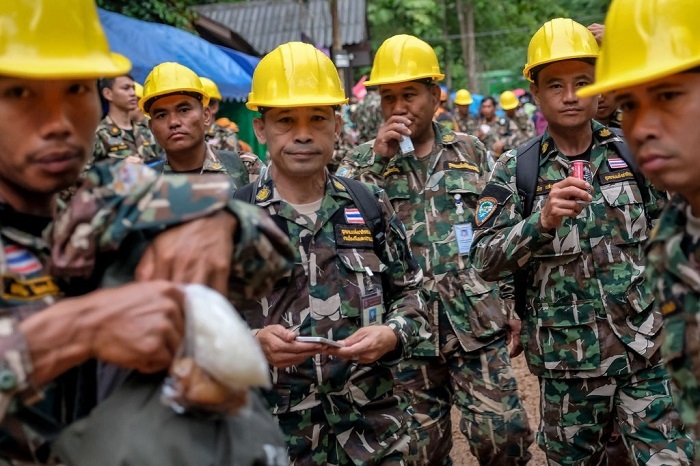 After 10 tense and terrifying days, 12 lost boys from Thailand, who were lost during a day trip, were found inside caves. Watch the amazing rescue video and read about the unreal story that made headlines all over the world. Every parent's worst nightmare when their child goes on a field trip is that he or she will go missing in a strange place. For 12 families in Thailand, that nightmare came true after their sons, all members of a football team, got lost on a field trip. It all started when the boys' assistant coach, Ekkapol Janthawong, took them on a trip to a cave region they had previously visited two years earlier. During the trip, the group got lost in the caves and families were unable to contact them for several days. There was a growing concern for their lives due to rain forecasts that would make water levels inside the caves rise to dangerous levels. After 9 dramatic days and many search and rescue attemps, it has been reported that two British divers found the lost boys on the 10th day of their ordeal inside a cavern in Tham Luang caves in Chiang Rai. The successful search mission ended this Monday, July 10, and the families and relatives of the boys were notified that the children are safe and sound. The unbelievable moment where the boys were found was recorded by the British rescuers who saved their lives and made it possible for them to go back home to their families.